Expansive, corner residence with dramatic views of the San Diego Bay, sparkling city lights, bustling neighborhood & sweeping sunsets! Enjoy endless sights from the open living space with abundant windows, as well as an approx. 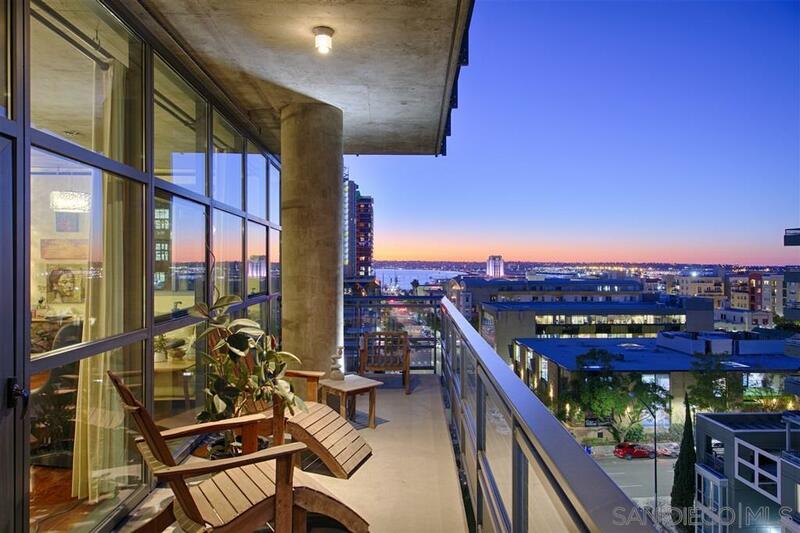 220 sf balcony which spans the length of the condo. The uber chic & swanky interior features high ceilings, wood floors, cement accents, stainless appliances, granite countertops & kitchen island. 2 parking spaces & large storage unit also convey. A must see in famous Little Italy!, This Aperture residence has an unmatched location in Little Italy, close to the farmer's market, boutiques, eateries, entertainment, and more!